There have been at least 15 incidents of vandalized fiber optics cables since 2014. These attacks have not just been a concern about the safety of the Super Bowl in the past, but also about the Silicon Valley Internet infrastructure. Many data centers are located in the area that power important services in the web. 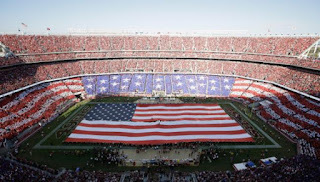 There are many security issues surrounding the Super Bowl 50. The fiber optics damages are just one. Drones are also a big potential issue as well as terrorist attacks. NFL spokesman Brian McCarthy tries to spread confidence about the security of Super Bowl 50. He told the News4 I-Team that security for all Super Bowls and NFL events have been "at a heightened state of alert" since Sept. 11, 2001. "We have been working for more than a year with our law enforcement partners at the federal, state and local level in preparation for Super Bowl 50," McCarthy said. "We have confidence in our law enforcement and public safety partners and have an effective and comprehensive plan in place to make Super Bowl 50 a safe and exciting event for our fans." Super Bowl 50 will take place on February 7, 2016, in Santa Clara, at the Levi's Stadium. The stadium is the home of the home of the San Francisco 49ers and seats up to 75,000 fans. Super Bowl 50 will be topping all previous Super Bowl's because of the anniversary. Marketers are flocking to Super Bowl 50 and it will be a huge TV event.